I decided to take advantage of the nice weather today and the fact that everyone else would be watching the gold medal hockey game to head out for some birding at Maplewood Conservation Area. My hunch panned out, the place was practically deserted… little did they know that the real gold was to be found here. I found this Eurasian Green-winged Teal at the same location that I had seen the previous one, Otter Point. It is quite likely that this bird is the same individual that I saw two weeks ago. 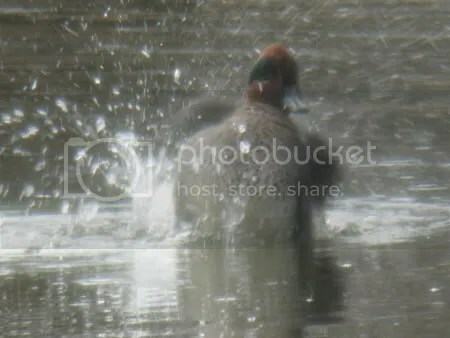 The bird was preening itself and splashing the water about quite a bit, much to the irritation of some nearby Mallards who swam off in the opposite direction. In the half hour or so that I spent watching the duck I didn’t notice it associating with a hen as I had seen it do last time. I wonder if something happened to her or if the two separated (I’m not sure to what extent this occurs in the species)? 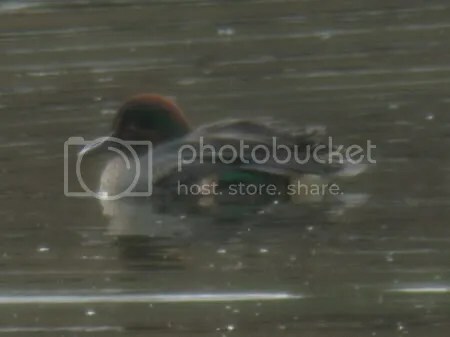 Most Green-winged Teal have formed pairs by March and the remainder will get together during migration or on the breeding grounds so I suppose there is still time for this bird to find a mate, unless it decides to head back to Asia or Europe (1, 2). It was nice to see such a great bird again, especially seeing as how it marks the end of my two week break from university and the end of the Olympics. Mckinney, F. 1965a. 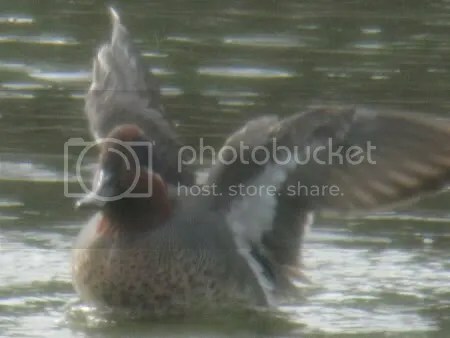 The displays of the American Green-winged Teal. Wilson Bull. 77:112-121. 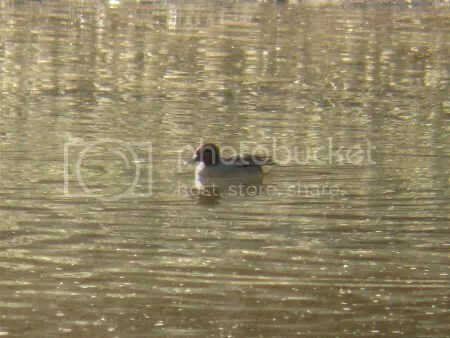 It was quite intriguing to watch these dabbling ducks trying to force themselves down to the bottom of the pond while the Lesser Scaup easily slipped underwater and resurfaced outside the Mallard mêlée. 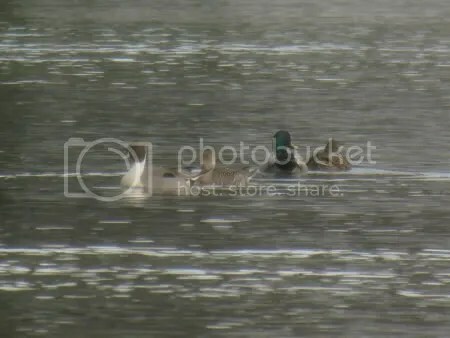 The American Widgeon didn’t even bother trying to dive for the bread; perhaps, they didn’t want to sink to the level of the Mallards. The individual that fed them also left behind the plastic bag that the bread came when there was a garbage bin only five or ten metres away. Personally I don’t feel that it is ethically responsible to be feeding wild animals of any sort, be they birds or bears, but littering is an entirely different level of idiocy. Colony Farm is not a place I get out to very often despite it being only a half an hours drive from where I live. The weather was quite pleasant when I visited and it was warm enough at one point for me to walk around in a t-shirt. Much of Colony Farm is open ground with a scattering of large bushes and small trees; in other words some pretty decent Northern Shrike habitat (1). I found a handsome example of the species perched atop a bush nearby the pump house on the eastern bank of the Coquitlam River. 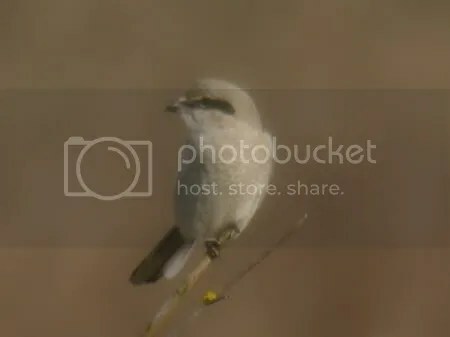 Evidently this particular Shrike had seen its fair share of birders and their gear because after looking me over it yawned and returned its attention to the surrounding field. 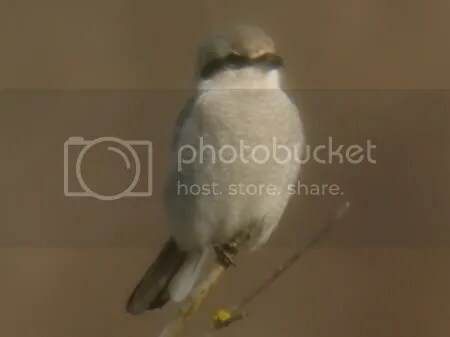 Northern Shrike usually look for their prey from an elevated perch and they may move from perch to perch depending on prey availability (1). I was able to observe this behavior as the bird frequently changed its position among three nearby bushes. Unfortunately, both for me and the bird, there didn’t appear to be any prey in the area and the Shrike eventually flew off. 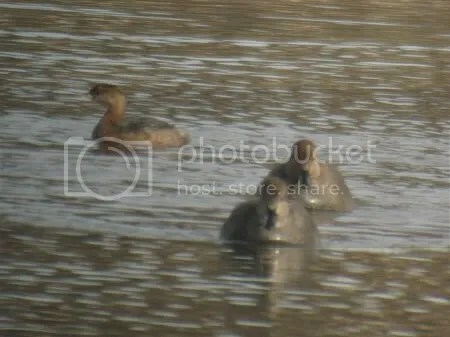 At the pond/marshland near the eastern end of the pump house trail a Pied-billed Grebe was diving for aquatic invertebrates or, perhaps, small fish and a group of Gadwall were preening and resting close by (2). 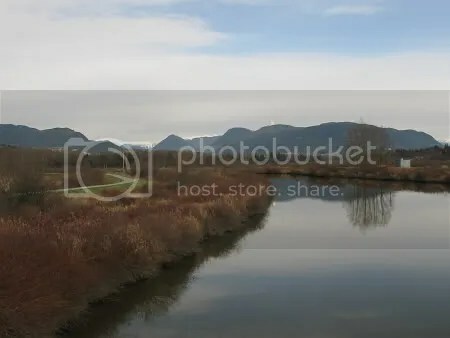 Colony Farm is quite picturesque and the birding is not bad either; it’s unfortunate that the rapid transit infrastructure in this city is not more developed so as to allow one to get out to places like this in a reasonable amount of time. According to Google Maps it would take about two hours to get there with public transit versus the thirty five minutes by car it took on this trip. I guess I’ll have to wait for my mom to be in a birding kind of mood before she’ll take me out here again. I stopped in at Ambleside Park today as part of a tour to some of the north shore’s smaller birding destinations. 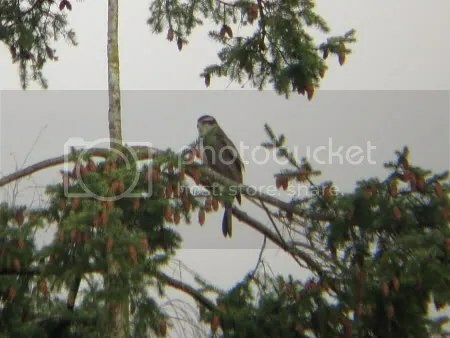 As I was glassing some European Starlings in a tree situated along the western arm of the pond, a Northern Goshawk made a sudden appearance into the midst of the group. 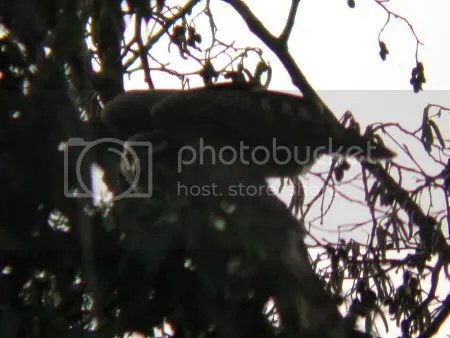 Northern Goshawk often attempt to capture their prey by ambushing the victim (1). The attack may involve a silent glide to the target from an elevated perch; although, if detected, the bird will propel itself forward in an attempt to get to the prey before it escapes (2, 3). The Goshawk I observed was unsuccessful in its attempt to capture a starling; however, a very brave (or foolish) Black-capped Chickadee rushed to the scene and began scolding the hawk. 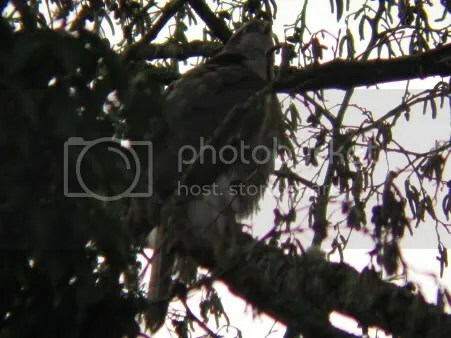 It was almost made into meal when the hawk rushed forward along the tree branch, exhibiting the persistent and often reckless hunting behaviour that these birds are known for, in an effort to make the best of a failed capture (2). The chickadee was too good for the hawk as it made a quick getaway to a perch out of reach and resumed its scolding. I’m really enjoying this two week break I have from university thanks to the Olympics; today was my fourth straight day of birding and I’m looking forward to the fifth. This Northern Goshawk was a great bird to look at and to watch it hunting was quite spectacular, though it would have been nice to see it take one of those starlings out of action. Beebe, F. L. 1974. Goshawk. Pages 54-62 in Field studies of the Falconiformes of British Columbia. Br. Columbia Prov. Mus. Occas. Pap. Ser. no. 17. Schnell, J. H. 1958. Nesting behavior and food habits of goshawks in the Sierra Nevada of California. Condor 60:377-403. I first sighted this bird yesterday (13 Feb) but because it was raining and the bird was so far away I couldn’t get any photographs. Thanks to the two week break I have from university I was able to get out again today (14 Feb) and try to document this bird. Luckily I was able to relocate him in the same spot he had been at yesterday; Otter point at Maplewood Conservation Area (Latitude: 49°18’8.57″N Longitude: 123° 0’26.23″W). 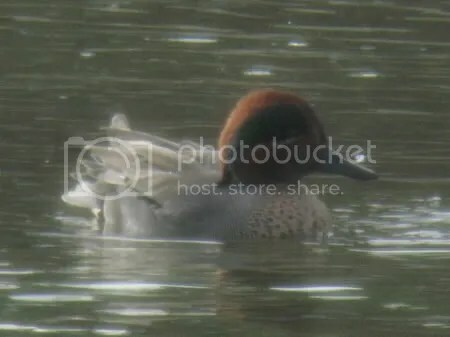 I spent about half an hour watching this male Teal, starting at 14:15. 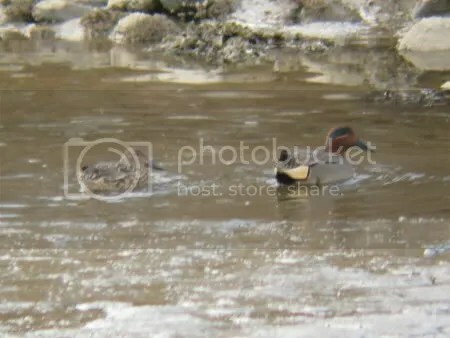 This particular Eurasian Green-winged Teal appeared to be paired up with a hen; the two were always together. 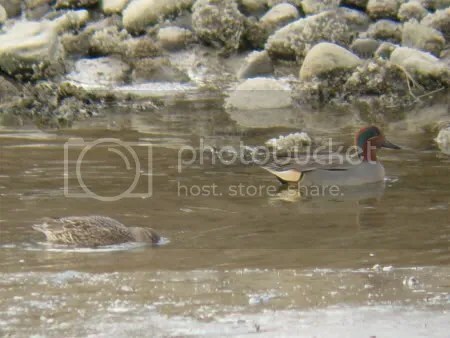 I’m not able to distinguish between A. crecca and A. crecca carolinensis females so I don’t know whether there were in fact two Eurasian Green-winged Teal present. Can anyone confirm or deny this from the pictures below? Currently the AOU does not consider these two forms to be separate species. Personally, I don’t think that not being able to add another “tick” to my life list has diminished this sighting in any way; this is still a remarkable bird which has travelled a long way to be here and that’s something to marvel at. Another weekend, another opportunity to get out birding; this past Saturday I went to Maplewood Conservation Area. The weather was fantastic and a fair number of birds were out singing. At the McCartney Creek outflow I managed to find a California Gull mixed in with the regular Glaucous-winged and Mew Gulls. A few Great Blue Heron were resting on some of the pylons that dot the mudflats. At one point another Heron flew in from the north and gave a single “Frawnk” call as it forced a gull off of a pylon (1). 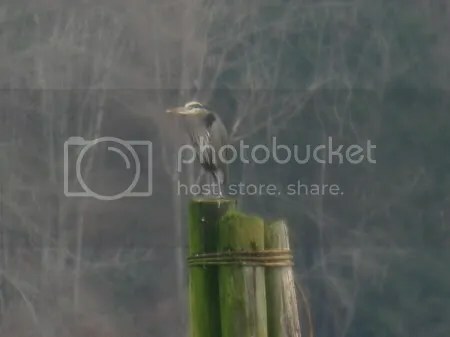 You can listen to a recording of a Great Blue Heron at UBC over at xeno-canto. Over at the western side of Maplewood I spotted a Cooper’s Hawk perched in one of the trees. Typically when I see one of these birds I’ll get it sighted in my spotting scope and then it’ll look right at me and fly off. I’ve never been closer to one than about 25-30m and I’ve always stopped and looked at the bird as soon as I’ve seen it; never approaching or making any attempt to reposition myself for a better view, yet every time it’ll take flight as soon as it sees me looking at it. Today I paused and thought about the consequences of my actions. I’m almost positive that the bird knows I’m watching it before it leaves its perch and so I feel responsible for forcing it to move to a new location. By simply looking at the bird from a distance am I compelling it to waste energy in search of a new position? Would it have taken flight even if I had not seen it but it had seen me? It’s terrible to think that I may be having a negative effect on these birds just by looking at them. On my way out I was approaching the bird feeders at the entrance when there was a sudden commotion. I raised my binoculars just in time to watch a Sharp-shinned Hawk chase a group of House Finches into the bushes. It was just as exciting as the last time I witnessed a Sharp-shinned Hawk hunting at this location and, like my previous encounter, the hawk was unsuccessful at getting a meal. 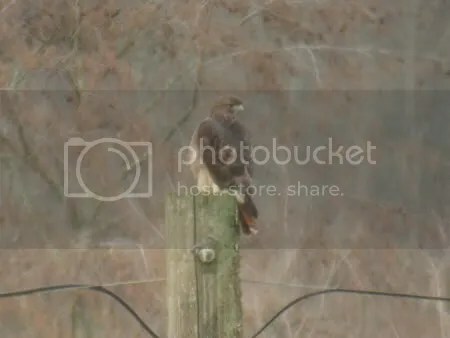 Sufficed to say I had a great outing; it’s not often that one sees two species of hawk during a single trip to Maplewood, in fact I think this may be the first time I’ve witnessed such an occurrence. Bayer, R. 1984a. Vocalizations of Great Blue Herons at Yaquina Estuary, Oregon. Colonial Waterbirds 7:35-44.